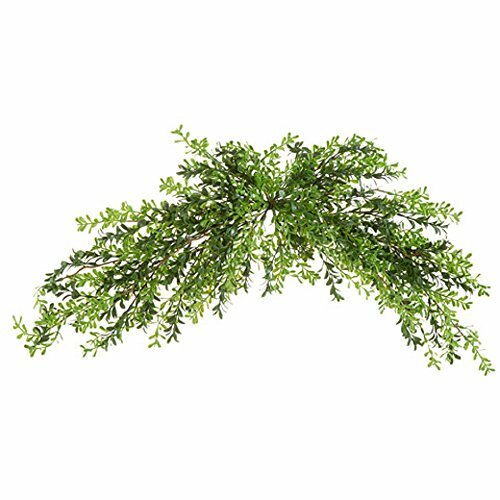 Punctuate the look of archways with the beautiful design of this boxwood swag. The delicate greenery easily supports bright and pastel springtime blooms, allowing you to get creative embellishing this 32-inch accent with floral stems and ribbons. Full tips give this boxwood swag a lush appearance, making it equally suitable for standalone display over your entryway mirror or your favorite artwork.